Google forms is one of the most popular contact form on the web and a lot of people are not aware that you can also send automatic reply to the submitter of form messages using some Google API code. Google form automatic email can be easily triggered on the form submission. Below are the steps to configure a automated response email for your Google form. In case your site is really popular and lot of people are trying to reach you. There may be lot of spam contact messages. There may be worldwide customers trying to reach you during odd working hours/weekends. You may be on vacation. You need some time to do research before you respond. Some of the categories need not be attended since your answers can be canned. e.g. you want to thank your customer for providing feedback or some help. Below are simple steps to setup the auto reply email. In case you have not created the contact form before, don't worry. Its really easy and free. Checkout this simple Youtube Video about "How To Create Contact Form on Google Docs". This example assumes you have at least four fields in your contact form (Name, Email, Subject and content/message). Checkout our contact form for details. // for example if someone entered a wrong email address. // your contact form. Make sure you have a "Email" Field in your contact form. // that sends the email. Please make sure you take care of following things when you create a form and update any code in script. Google forms auto response will be sent immediately with email content configured in your script. Make sure to update the email response "message" in the script before you start using this. In case you want the auto reply content to be really big make sure you split it into multiple lines (and use Javasctipt append) like below instead of keeping all text in one double quote. var message = "Thanks for contacting FromDev.com. We will get in touch with you shortly. \n\n-----\n\n"
You need to Authorize Script to be run by Google API. The authorization step is really important since Google API will not run the script unless its authorized by the creator. Therefore make sure you are creating the script using the same account which owns the contact form. I believe in test driven development, and as always try to make sure your setup is working fine. This is really simple, just do the form submission using a email address and see if the auto reply email is received as required. Your script is still not working? There can be following reasons - Please make sure you have the exact same field names in your contact form. (Specially for Email and Subject). Checkout our contact form. - If someone enters a invalid email address or other error happens on your form, you would be notified with a email similar to below snapshot. 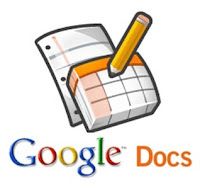 March 2014: Updated: Changes in Google Drive affected new forms. March 2013: Updated: Error Handling and Reply to Option as per reader feedback. Hope you found this tutorial useful. Which contact form application are you using? Nice! Thank you, it is very useful. Jirka - Thanks for your comment. I am glad to know that it was helpful. with no result. the best i can do is provide a link to the image? Any thoughts on this? Sorry, I'm new to this whole thing! I'm in a bit of a picle. Is there a way that the email that you receive has the email address of the user in the from field, so that when you hit reply it, it replies to the user and not the Gmail address? This is also updated in the post now. Thanks for feedback. Hi I don't get this - the script emails me which isn't really a 'reply' is it? How do you get it to email the person who filled out the form? Please make sure you have "Email" field in your contact form. This script is going to extract the email field from contact form. If its not provided then email will be sent to you. I just updated the script with more clear error handling message. This should also make it more clear for others in future. Thanks for letting me know. Hope this will help you. This is very helpful. Is there a way to get the email to include a field from a corresponding row in a different sheet? @Ben - Thanks for comment. I am glad you found this useful. I have not tried manipulating other sheet. What is the scenario you are trying to address? Let me know may be we can think of an alternative. "Cannot read property "namedValues" from undefined." I have a questions before I can solve your problem. Please share you form link with me and I can verify that. is it possible to change the from address so that it is different from the default option connected to your google account? I have all the forms set up on my personal google ID and I need the confirmation emails to go out from my work email ID. I do not want to have to migrate all existing forms and data to my work email ID. I guess its best to transfer the ownership in that case. Its easy by going to the form - choose share then select the business email id to share the form with. By default it will give edit access, however you can choose is owner option in that setting. That way same forms will also be owned by business account. then you can follow the authorization steps inside business account to manage those forms. It may be tedious if you have too many forms, but I do not see any other alternative as of now. Sending email with a differnt from address can be a security and spamming issue therefore it may not be allowed from google apps. BTW I am assuming you business email is on google apps, otherwise you may not be able to share the ownership. Question :: I read your article about "How-To Send Auto Reply Email on Submission of Google Docs Contact Form" in http://www.fromdev.com/2012/06/how-to-send-auto-reply-email-on.html. And I glad it works for me. Previously, i'd like to turn my page with PHP mail() function for giving a feedback to users who fill the form, but looks like the method="POST" trigger is used by google on the form that I put on the same page. But the point why I use PHP, is because I can made the feedback email as HTML. Can I do it with the Google Script (Java Function) so i can make my available HTML "thanks page" appears on the feedback email? at least do you have an external link or maybe you already made that tutorial before? Really appreciate if you reply. can i embed another doc form into the auto reply email? Shafeeque - I guess You mean to send a form inside the email. That can be easily done using the embed HTML code from google docs. Copy the html code into the email send function like this. Can you please post your code here? I can review and see what may be wrong. This is great. I have a question. My autoresponse includes my message AND all of the info/answers on my form. How can I only have my response show? Not sure if my message was delivered. Everything is great and I appreciate the wisdom! My auto responder email is sending my message AND all of the info on the form. I only want the user to read my autoresponder message. How do I eliminate the info from the form submission. Hope I can apply it to my site. Sorry to be a noob, but where can I find Tools - Script Editor? I looked at the Form maker page and it wasn't there. while i put iframe code into auto reply email as like u said, it shows an error in the script editor like this.....( line 38 missing } after property list). the code is gicen below. Try to replace all double quotes (") with single (') in this iframe snippet and see if that works. Also, notice that I put ~FirstName~ in the message field. That is because I was trying to figure out if that would put the recipient's name in the ~FirstName~ part. But i dont think it would work. Do you know a way to do that? Replace the message text with a small test message and see if it works. If it does than I guess the message text need to be constructed based on max limit if not then make sure you use the exact form as we have in the tutorial. I reviewed your form and it has only two fields. Subject and Message fields are missing in that form. The ~FirstName~ will not work since its just a part of string. If you want to replace it with name of person than you may need to do some more coding in the form. e.g. Step 1: add a First Name field in form. Step 2: add a variable in your code to read first name field. Just like we are doing for Subject and Email. 2. Cannot read property "namedValues" from undefined. In addition notice that in my message there is a Hey~FirstName~ . THis is because I was trying to get google to recognize the recipient's name. But I don't think that code would work. Do you know a way for that? Hi thanks vm for the tutorial. Do you know if there is anyway to pre-populate the form responses with the recipients contact details (name, email address etc) rather than have them enter them manually? This could be taken from another spreadsheet perhaps. Hi. Thanks for the tutorial. Do you know if there is anyway to pre-populate a google form with the recipients contact details, rather than have them enter them manually. I'd be lloking to obtain those contact details from another google spreadsheet. Thanks so much for this great tutorial. My autoresponse includes my message AND all of the questions/answers on my form. How can I remove these fields and answers on the auto reply? I only want to send them a thank you note for filling out the form but i dont want to include their answers on the auto reply. Please help. Comment (//) line 24 and 25 in this code and that should remove the fields from message. Sorry for the late reply. Hope this helps others. Please reduce the size of subject field. Try putting a small text in subject value. I would recommend using a drop down value so users can type. Or may be a max limit text field. the variable e is passed by google API. I will try to see if I can help you resolve this. I sent you an email with the subject DualActionTactics. thanks for all the help! Natalee - Can you share the contact form with me please? I can check and let you know if there is something missing. The does not look wrong at a glance. google form auto response Cannot read property "namedValues" from undefined. Not sure if you can view this link without logging in? I just filled up the form and go a auto reply from you. It seems to be working. Have you tested it with your own account email just to see if that works out. Thanks for contacting Enlighten Life Wellness Products. We will get in touch with you shortly. I have a question..... if the Email column has a formula.... the app script doesn't work... cuz it gets the formula not value, so... How can i fix it? Store the value of formula in a variable and pass it to the function. Feel free to share your formula and I can review. Hey! Thanks for the tutorial. But I don't want the people who had submmitted the entry to receive what they had entered in the form. What do I do? how do you modify the information submitted in the form? i'm looking at this section of your code and trying to figure out how to only include the responses to some of the questions, but not all. Sorry for late reply, It can be done in same way we are checking for each field. Just add a if condition check for MailApp.send method and send different emails for different conditions. this should send the message with very large text too. Most of the time problem may happen if you try to construct a string in one shot. Instead try the above approach by using plus operator and stick to around 40 characters in a string. Thank you for this script how it does not work: I keep getting an error: "Failed to send email: No Recipient"
The script does work when I replace email = ""; with an actual email address. This tells me the script is not reading through the fields on the form. PS. Thank you for the script and willingness to help out. just tried your form. didnt work :(. Please make sure the field names are case sensitive. The email field should be named 'Email' according to this code. Let me know if you are able to resolve this. Otherwise we may need to try giving more authorization on the form to me. Also noticed one more thing. The catch block should be like this. This is required since you will get notified in case the fields are having some data issues. May be someone enters a garbage in email field and its not able to send email. I keep getting the following error: Cannot read property "namedValues" from undefined. Error in Auto replying to contact form submission. No reply was sent. Do I add the script to the form or to the spreadsheet? Thanks! This has been very useful. Is it possible to set the response email to send from a a different address- not a Google address? Is it possible to populate data from another sheet? The main sheet (Form Responses) contain sensible data, that I do not want to accidentally share, therefor I created a second sheet. Moreover, I created a Unique code which I'd like to be inserted in the auto reply message. Is there a way to get the email to include a field from a corresponding row in a different sheet? Wanted to check how can I include basic formatting (like bold, underline, color, etc.) in the message variable so that the email can be well formatted. This may be already answered, but I can`t find it anywhere. Will this auto-reply e-mail include the form just filled out by the user? Yes, it does include the form filled by user at the bottom of email. My question may already be answered above, but I cant see it anywhere. Will this auto-reply e-mail include the form just filled out by the user. +Skjalg - Yes it does include the user form content at the bottom of the email. Try our contact form and you will see the script in action with a automated email reply. First I hope that you're still monitoring this post for questions. I have tried it multiple different ways. I know I saw one of your responses above that a message section has to be included. Two things I have not made mine a required question, as I really do not want comments from this form. Does question have to be a required question to work? In practice I need neither the subject or message section for my purposes. The only other thing I can think of: Is this restricted in the Google forms code to deny sending to an Explorer email address - hotmail, live, etc.? Right now I have set up my site using the form response to send my client the info I need to send, but this is not the image that I want to portray. Please tell me why this is not working for me. I use Windows 8 and Chrome. I get the same error messages as others: "Cannot read property "namedValues" from undefined, or Failed to send email: no recipient." I won't forget the help, believe me. I would like to add a replyTo address but have been unsuccessful. Very new to coding. Can anyone rework code below to indicate syntax for replyTo? I am able to display reply to address in the body of the email but don't know how to make code stop using my gmail address when a recipient clicks reply. I have been trying to add replyTo to the code below but have been unsuccessful. I put a message about replying to different address in email body but need it to actually appear in the email address when a recipient clicks reply. This would allow the message to go to a different address instead of my gmail. Can anyone correct code below to show where and how to add replyTo? Hi. How do i get content reply and Set auto send email ? This will authorize your gmail or google apps account to send email as another email. Though you can not send a email from any arbitrary account since its a security issue. Subject:Error in Auto replying to contact form submission. No reply was sent. Body:Cannot read property "namedValues" from undefined. Just tried the form in your comment and seems to be working fine. I got a automated reply. Not sure if its a issue on specific browser? In the email I send I do not want to send the sheet URL. What line(s) of code do I delete to prevent that? Also, how do I prevent the :: from showing after Name and Email? So how do I get the email reply to submit as per form order? Please share your form url, the sequence of params are passed by google API so we have little control over it. In case you want the exact order than put the "if" condition for each field you want to add then append it explicitly. Just like we are doing for "subject" field in this code. I am desperate for help.... I am trying to provide an email response to a completer of the form that contains the summary of items submitted (there are 9 of them) and also provide the URL so that if they need to update the responses they can go back to that. Here is the code that I have so far - I am not getting an email back - it says - no recipient. I am the one who submitted the comments yesterday as anonymous. I still really need help. I am hoping you are still watching this thread. I have shared the form and response spreadsheet with you (via your email address) - I hope this works! Thanks again. I previously posted code in regards to getting the form URL for editing - not sure if you need that or not - if so I can provide it again. Thanks for this script. I've used the old script and it worked very well. On this new script, the reply is not including ALL the filled in columns. I was pleased to see that only keys that were filled in should show up but that is not happening for me. I've tested it a few times, I know I filled in data and can see it on the spreadsheet but still it is not all included in the reply. Is this only happening to me?? I wonder why? I have not modified you script at all - just copy & paste. Again, thank you for your service to all of us. Thank you for putting this script out there and for the updates. I was pleased to see that only the fields that were not blank should show up in reply. However, this is not happening for me. All the fields are showing up with blanks after them. I'm not sure if this is happening only to me? I did not modify the code, just copy and paste. Thanks again! I've been playing around with this more and was able to make a few adjustments and have just the fields that are not blank show up. My next goal was to be able to use html. I changed the code you have above and it worked (I took off an extra '> ) But now none of the filled in fields from the spreadsheet are in the reply. It's like added that code made it completely ignore the fields. Not even timestamp - Is it because I want it all. Can I only have it one way or the other? I was looking for HTML reply AND display form fields that are not blank. I hope you can help me. Thanks again! Any idea how to have this script also generate a unique ID and have that loaded into the spreadsheet as well as into the email sent to the customer? I guess you can use the mysheet.getLastColumn() - this is the id of the column in the spreadsheet. May be prefix/suffix some some text if you like. But this will be unique since every entry goes in a new line on spreadsheet.